Live Industrial is the exclusive Australian distributor for ITISTRAP’s range of Standard and Flexter polyethylene terephthalate (PET) strapping, which is quickly replacing steel strapping due to many benefits, including cost saving. ITISTRAP is an Italian company that manufactures and sells a complete range of PET strapping for every industrial application. Both the Standard and Flexter ranges of PET strapping are available in a wide variety of widths, thicknesses, lengths and colours. ITISTRAP's Standard PET strapping is manufactured from high-quality raw materials, carefully selected and controlled in order to obtain a high-tensile strength and elasticity, a reduced relaxation and a good joint efficiency. 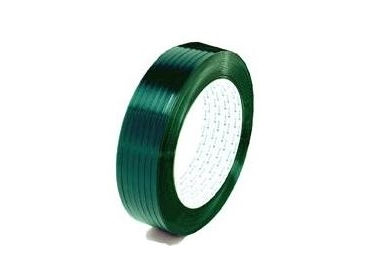 The Standard range of PET strapping is like a hand-grade PET strap, and works well with both battery and pneumatic strapping tools, and on automatic machines in most applications, including PET bottles, cans, chipboards, and concrete blocks. ITISTRAP's Flexter PET strapping is manufactured from special raw materials and additives specially selected to ensure excellent splitting resistance, a reduced relaxation and a joint efficiency that can reach 100%. The Flexter range of PET strapping is a machine-grade PET strap, which has been treated with special additives to prevent the splitting. It is suitable for use with strapping tools through to fully automatic machines, and is particularly suited to difficult applications, including in the timber, brick, glass, aluminium, and steel industries.